Sugar is something we all enjoy, and in many forms. But the not-so-sweet truth is that Americans are consuming shocking amounts of the sweet stuff every year. Just how much refined sugar is being consumed? Up to 170 pounds per person! Of course, this may not be you. But what’s even more surprising is that, for every person that doesn’t consume the amounts mentioned above each year, there is another who is consuming well above these amounts. Refined sugar and its substitutes have been a part of our diets for many years. And while there are many, one of the best-known major sugars is fructose. This one sugar can be found in many processed foods, but also in fruits. However, the fructose found in fruits doesn’t have the same effect on our bodies as that found in processed foods, simply because fruit, when in its natural form contains fiber, which helps to lessen fructose’s effects. Fructose is unique, because it can only be metabolized by one organ in the body, which is the liver. The reason this is true is because that’s where the only transporter for fructose in the human body exists. Whether your body receives fructose from soda, candy, or another source, it will all be directed to your liver. And what happens once it arrives there is truly shocking. Fructose not only gets metabolized directly into fat by the liver, but it has the same toxic effects on the liver as excessive alcohol consumption does. In fact, there are a number of similarities between how the liver processes fructose and how it processes alcohol. – Fructose can be as habit-forming as the consumption of alcohol, as it stimulates the same pathways in the brain. The main issue with fructose is that it doesn’t send any messages to your brain that you’ve had enough. This is why drinking one soda can often lead to drinking another, the same as with alcohol. When you consume fructose in the form of fresh fruit, however, fiber comes to the rescue. There are many fruits which contain fiber, which is, essentially, very good at telling the brain you’re full. In the top five are figs, blackberries, pears, bananas and apples. All of these fruits contain anywhere from 2 to 6 grams of fiber, but it’s recommended that when eating or otherwise ingesting them, that you do so with the skin on. This is because the skin is usually where the highest concentrations of fiber can be found. You may have heard that raw sugar, also known as Turbinado sugar is a healthy alternative to refined white sugar. And this is easy to believe. 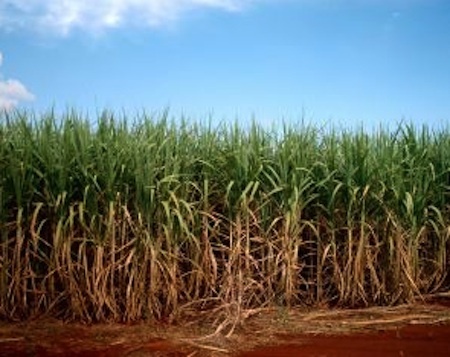 Raw sugar is made by pulling it out in the early stages of sugar processing. What the consumer gets is a non-bleached, coarse sugar which smells very similar to brown sugar. This lack of processing is a good thing, but unfortunately, raw sugar still contains fructose. The same goes for other ‘natural’ sweeteners, including Agave syrup, molasses, honey and maple syrup. Indeed, it can seem like fructose is everywhere we look. With fructose having seemingly invaded every nook and cranny of the modern diet, where is a health-conscious individual to turn? Used for over 200 years to sweeten everything from food to beverages, Stevia may offer a calorie-free and non-addictive way to enhance the flavor of the foods we consume. Reportedly up to 300 times sweeter than sugar, Stevia can be found in many grocery and health stores in powdered, liquid and flavored form. The sweetener not only has no reported effects on insulin levels, but is also free of calories and carbs. I love Stevia. I use it for all my recipes. I just wish it wasn’t so expensive!